Saturday 27th August marked three years to the date since Martha's life-saving open heart surgery when she was 5 days old. I'd somehow managed to get Saturday as one of my days off for last week, but I didn't get home from work until almost 4am Friday night/Saturday morning...we had already made plans for my parents to have the girls Saturday night so that we could go out for a meal to celebrate as a couple (Osh was with his father this weekend) Saturday ended up being a lazy day, which is a change for me as I hate to waste days milling around the house; but I'd also managed to get the Bank Holiday Monday as a day off for this week - so I knew I had another chance for a family day out. In true Redfern-Murphy style, we packed a picnic, the flask and my camera and headed to Gypsy Wood. I've been there a handful of times with Friends and our kids, but we've not been as a family with Mark. I knew that Monday was my last opportunity to take the Me & Mine photo for August and I remembered that just before Martha was born I had some lovely photo's of me Osh and Isabella by a little lake there. September will be a big month for us as a family; Osh start's his final year in primary school, Isabella starts school full time, Martha starts at the nursery class at school so will also be going to school in a uniform...but September will also (probably) be the month we find out the date for her next Surgery...that is unless they call us today on the last day of August. Martha turned three years old last week and she seems to have matured so much since then...especially as she has finally nailed the whole potty training thing! Monday was our first day out for her where she wore knickers and used the toilet like Mammi and Isabella and amazingly there weren't any accidents. I'm going back to living week-to-week, making the most of being a normal family before London calls. 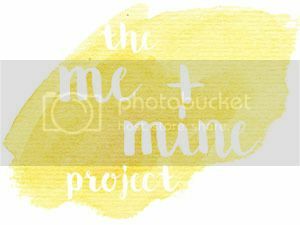 I can't think how our Me & Mine photo for September will look, whether or not we'll even get to take one. But I cherish every single one that I have taken up until now. This is what happens when you ask Daddy to organise the kids for a test shot!!! !